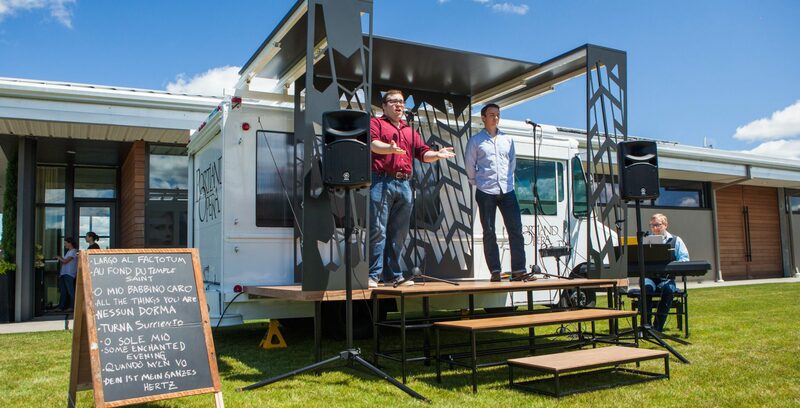 Inspired by Portland’s food cart culture, Opera a la Cart is Portland Opera’s mobile performance venue that brings opera directly to the community in pop-up performances. 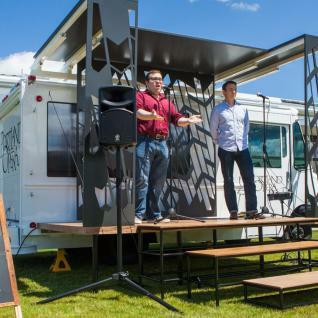 Designed and built by architecture students at Portland State University, the cart features a fold-out stage and a “menu” of operatic specials du jour. Charismatic young singers perform arias, duets, and ensemble pieces. Opera a la Cart travels to food cart pods, farmers markets, college campuses, neighborhood festivals, and other locations where people gather.